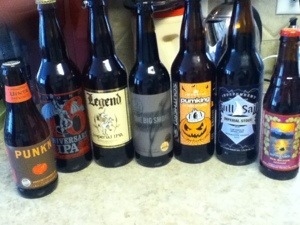 I stopped by Bottle Revolution this afternoon on the way home from work and this is my haul for the evening weekend. This entry was posted in Brewing, Home Life and tagged Beer by BrewsterMama. Bookmark the permalink.